The mayor of southern Texas city Port Aransas says the city is in serious trouble, urging residents to stay away for a while. “We are encouraging residents not to try to come back,” Mayor Charles Bujan told KHOU-TV on Sunday, adding there was a “quite a bit” of damage done by Hurricane Harvey and ensuing storm damage. The Pioneer Trailer Park, he said, is a “100 percent loss” as search-and-rescue crews comb the area for people. “We are in the process now of pushing down [State Highway] 361. We had to send heavy maintenance equipment in before the police to clear the highway,” Bujan added. He said that there were a number of fatalities, but they have yet to be confirmed. 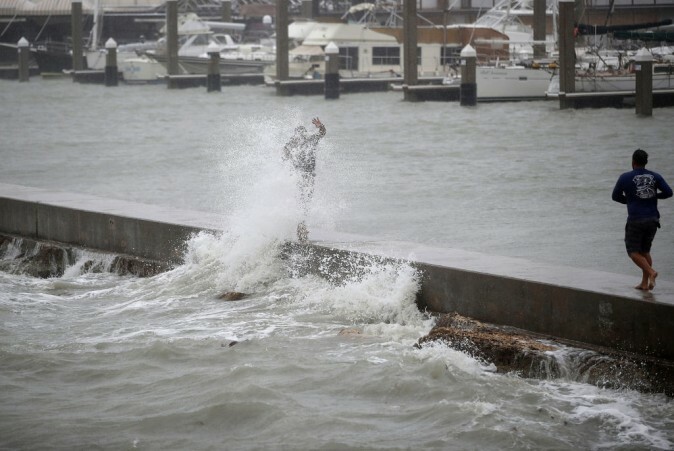 The National Hurricane Center said that the storm is lingering over southeastern Texas, with heavy rains slated for the week. The Twitter account of the sheriff of Harris County, which includes most of Houston, was inundated with rescue requests and his team were unable to respond quickly to all of them. “All agencies care but everyone simply operating at maximum capacity,” Sheriff Ed Gonzalez tweeted at one point, Reuters reported. Gonzalez said his deputies responded to unconfirmed reports of a deceased woman and child inside a submerged vehicle on a highway near Houston. “There are a number of stranded people on our streets, calling 911, exhausting needed resources. You can help by staying off the streets,” Houston Mayor Sylvester Turner said on Twitter. Five people are reportedly dead, according to reports on Sunday afternoon. Harvey slammed Texas as a Category 4 hurricane with winds of 130 miles per hour on Friday night. 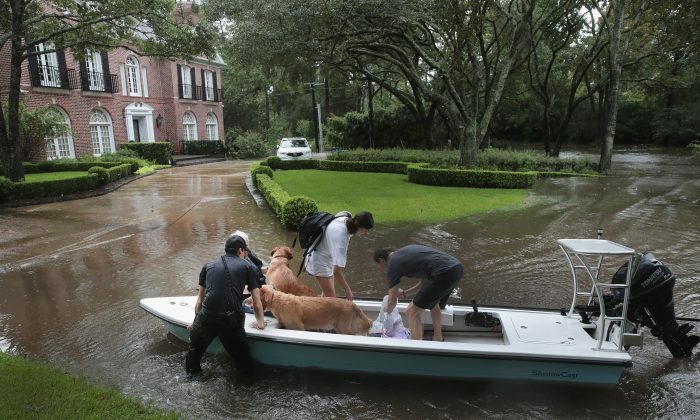 “This rain will lead to a prolonged, dangerous, and potentially catastrophic flooding event well into next week,” the National Weather Service noted in a statement.